For most of us, regardless of what life gives us, there are many little things (and some big things) to enjoy and for which we can be grateful. Among the little things I'm enjoying at the moment is the sun shining into my craft room, and some strawberries and home made angel food cake waiting for me! 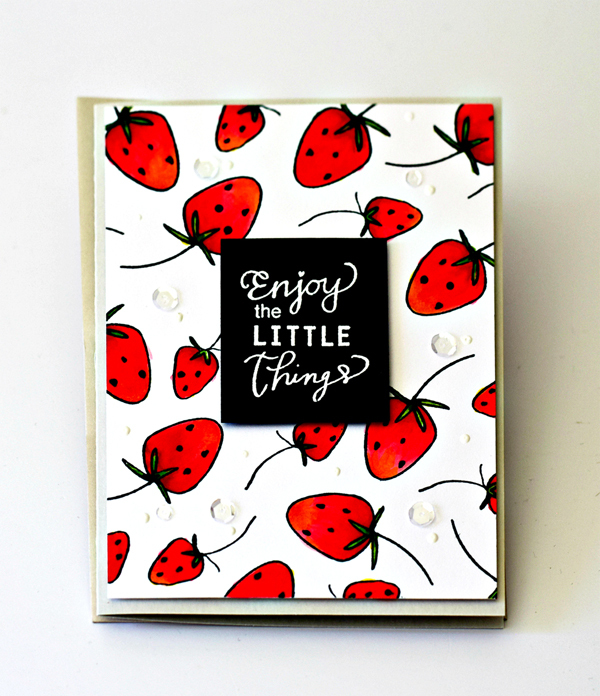 The sentiment (and the berries) are part of Altenew's Beautiful You set. The sentiment has had a border that I didn't like, so I trimmed off the border. Stamped with Memento black ink and colored with Altenew alcohol markers. MOOD WHEN DONE: Happy! Hope your day is filled with lots of good things. Oh, Joan! I just logged onto instagram to see your beautiful strawberry card and had to laugh. I used the same words (different stamp) with strawberries this week too. Maybe we are both so anxious for warmer weather? The strawberries and the sentiment just go together. 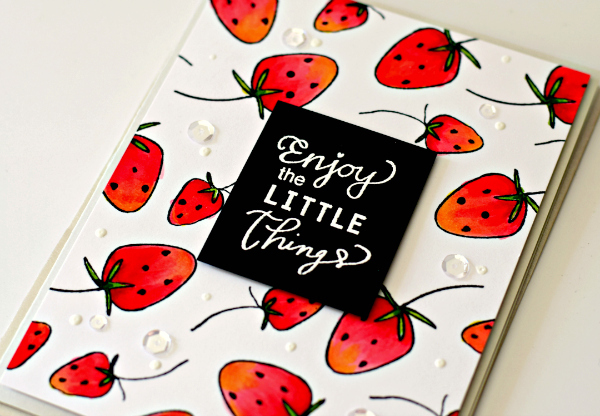 You've taken some little things and made them into a whole fabulous card. I was just thinking yesterday how I ordinarily get so much enjoyment from the little things... as I stood at the kitchen door and watched it rain again.